zarinahtakesapaycut: Does Sime Darby conform to International Standards in its audits? Does Sime Darby conform to International Standards in its audits? I always thought that auditors were appointed by the shareholders. Surely they were the clients?.. Dato' Mohd Bakke Salleh is the President and Group Chief Executive, while Mdm Tong Poh Keow is the Group Chief Financial Officer for Sime Darby, and the questions are directed at them. Mdm Tong Poh Keow, Group Chief Financial Officer for Sime Darby. 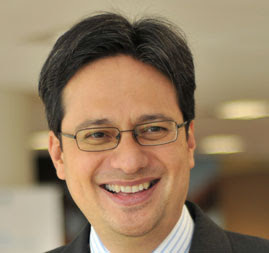 "And what of PwC’s part in the Sime Darby fiasco? Of the four key findings disclosed by Sime Darby on May 13, only one – the decision to reverse revenue of RM200mil for the Qatar Petroleum project – relates to a matter taken up in accounts already audited. A quick look at the 2010 Annual Report for Sime Darby shows that Sime Darby paid RM 4.2 million in fees for Non Audit Services to PricewaterhouseCoopers. Even though this amount is less than half of the fees paid for the statutory audit, it is still large enough that most regulators in developed nations will scrutinize the billing closely. 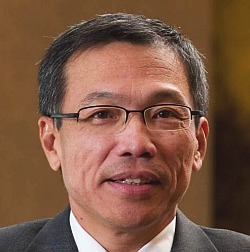 Considering that many analysts and business reporters have raised concerns on the role that PwC plays in the audits for Sime Darby, especially in light of the huge losses in the Energy & Utilities Division, as well as the fact that the former Chairman of PwC heads the internal audit committee in Sime Darby, means that Dato' Bakke Salleh and Mdm Tong Poh Keow will do well to ensure that there is no way anyone can cast any doubts on the latest numbers for the group. Chin Kwai Fatt; yet to report this blog to the authorities. 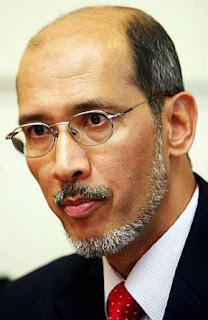 But then, when we have a situation where the MD as well as the current Chairman of PwC Malaysia, namely Chin Kwai Fatt and Dato' Johan Raslan, in the picture, with unanswered allegations of fraud against them, it can safely be said that Sime Darby and its books will remain under close scrutiny for a while more yet.